Please use Diigo if you have found other useful sites for our health class, to book mark them for everyone to use. If you need to contact me for help or clarification on activities please click on the link below to email Coach Hibbert. I will respond to you with 48 hours. In class: Intro to PSHE7, review Syllabus & Moodle, What is Health? Define Health. What are the six components of Health? Also explain how Physical, Social, Mental, Environmental, Spiritual, Emotional can be related to Health? Depending on time, write about a person you admire and their lifestyle. What are their eating, sleeping, exercise etc... habits? Discussion Forum- What is health? Present these questions in 2-4 minutes in a format that is most interesting and engaging to you and your classmates. This will be graded on Criteria A (Knowledge and Understanding) Strand 2&3 of the objectives. Picture of you as a baby. How do you define "Being Healthy"? Name someone you know of who is a model of "Physical Health". Why? Explain. Explain how it should feel to be "Socially Healthy"? Link it to a character in a cartoon or movie. What's one thing you can do in your life to stay emotionally healthy? You wake up late, eat a doughnut for breakfast, you get to lunchtime detention for being late to school, your math teacher called on you in class and you didn't know the answer, you had to run the mile in PE without your headphones and it was raining, after school you have a 1 1/2 hour practice. Explain how you would handle your mental health to avoid feeling stressed? You just passed your driving test and can now drive on your own. You are hosting a sleepover and your 4 friends want you to drive them to McDonalds. It is illegal to drive more than one friend in your car and they are being very persistent to get you to drive them. Its raining outside and it's 11:00 p.m. (past the curfew hour for 16 year olds to be driving). What are some ways you can address the situation in the most healthy and safe way possible? Name and event that makes you think about one aspect of health (physical, social, mental, spiritual). What steps can you take to develop life long health? Describe what learner profile best relates to being healthy for you. 7-8 - Students use a wide variety of vocabulary accurately and appropriately in order to define Social, Emotional, and Mental Health. Uses health knowledge effectively in order to analyze and solve scenarios. Makes a very good correlation between the questions and definitions. Uses all Health Knowledge effectively to create a knowledgable presentation. 5-6 - Students use some vocabulary accurately and appropriately in order to define Social, Emotional, and Mental Health. Uses some health knowledge in order to analyze and solve scenarios. Makes a good correlation between the questions and definitions. Uses some Health Knowledge effectively to create a knowledgable presentation. 3-4 - Students attempt to apply vocabulary accurately and appropriately but has limited success. Uses knowledge to analyze and solve scenarios. Recalls correlation between questions and definitions. Is limited in their success of Health Knowledge in their presentation. 1-2 - Students have very limited knowledge of vocabulary and recalls knowledge of health inconsistently in their presentation. Overall an incomplete or inaccurate presentation. Please post your presentations on Moodle or share with your class teacher-, if that does not work because the file is too large, please e-mail to your teacher. If neither of these work, please bring the presentation in on a USB drive and the teacher will load it for. Thank you. Look at choosemyplate.gov website and Calorieking.com. Write a reflection on what you thought on both websites. Include the differences and which one you preferred and why? What are calories, fats, protein, vitamins and minerals? Take a look at some of the videos and complete some of the interactive activities. Investigate and document how to calculate your calorie expenditure for a day with exercise and without exercise. What did you eat yesterday? Jot down everything you ate. Analyze this in class. Homework: See nutrition project hand out. 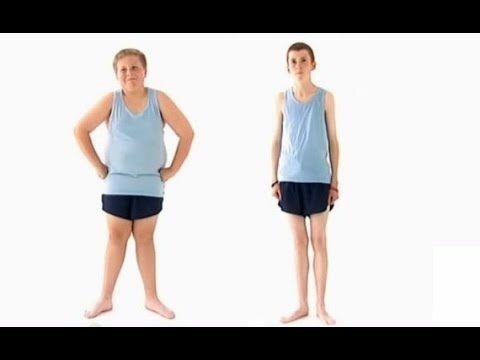 Watch Episode 4 Superskinny v supersize kids. Think about the issues each person has with foods. Have you ever wondered what foods are eaten in other countries around the world? What are the differences from that country to your host country? We want you to look at one country and their foods and to answer the following questions. You can present your information using any medium that will be interesting to your audience and informative of the country you have been given to research. 2. How many calories are in each serving of the foods from question 1. 4. What is the obesity rate in your country? 5. Do you see a correlation between the obesity rate and the most common foods? 6. What suggestions would you make to improve the diet of the population in your chosen country?